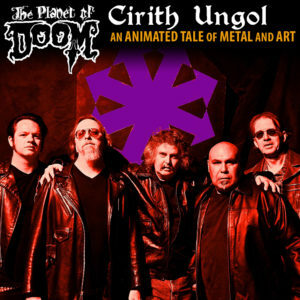 Ventura, CA’s CIRITH UNGOL, one of the most underrated bands from the early ’80s metal scene, released four albums between 1980 and 1991. 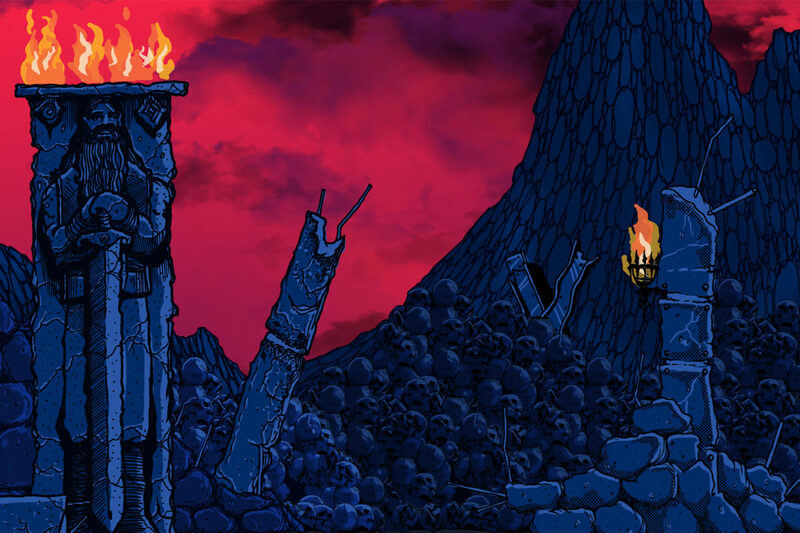 The group is known for lyrics based on fantasy (particularly sword and sorcery) and is considered one of the earlier epic doom and power metal bands. 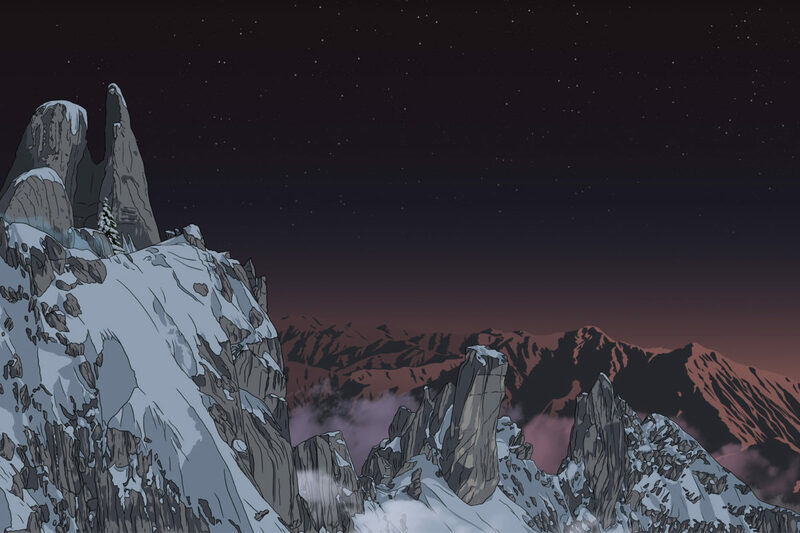 Their first album, Frost and Fire, was closer to a hybrid between 1970s hard rock and metal with songs written by then bassist and guitarist Greg Lindstrom, but from King of the Dead and onwards they played a progressive rock influenced kind of doom metal with song lyrics primarily written by vocalist Tim Baker and drummer , however the compositions were usually composed with the inclusion of all the members. 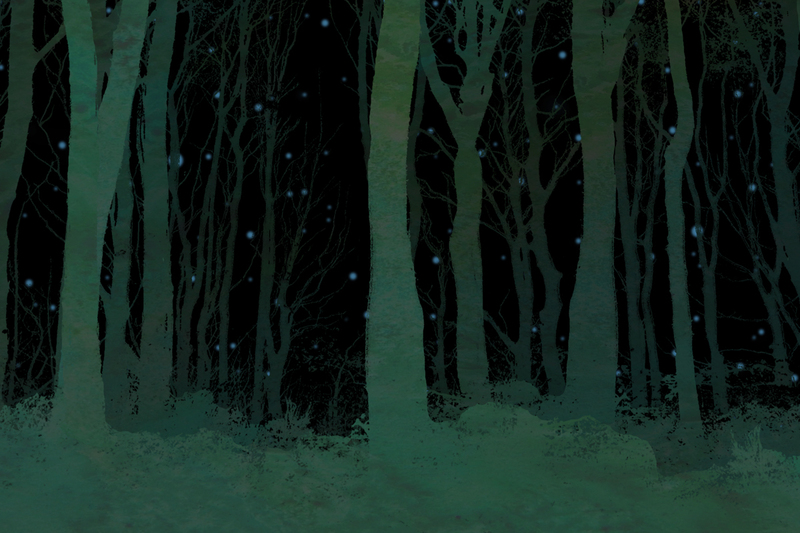 The name CIRITH UNGOL is pronounced “kirith ungol” and is an Elvish phrase meaning “pass of the spider”, which is something that Lord of the Rings fans will surely recognize. 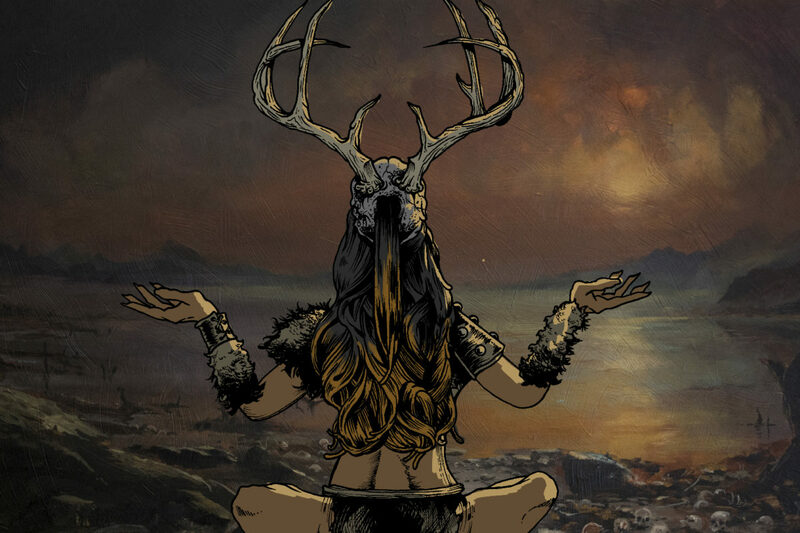 The name is, of course, indicative of the band’s fantasy-oriented lyrics, themes and beautiful album artwork. 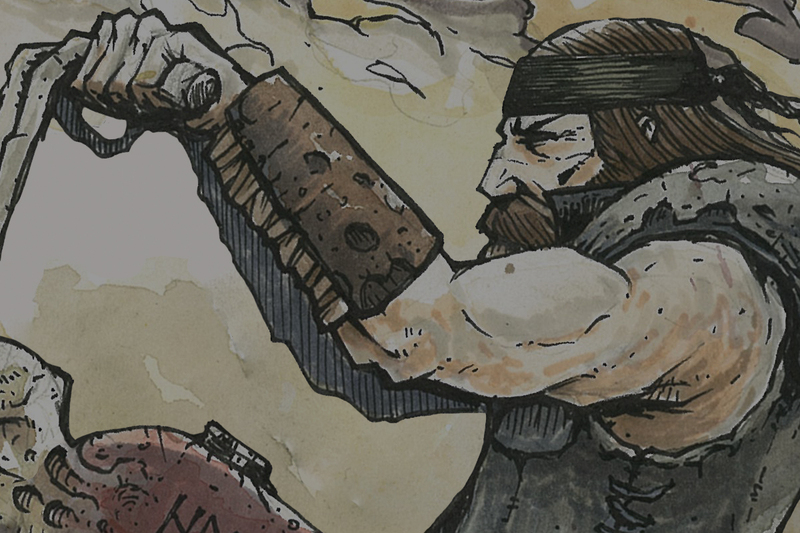 NEW GEAR IN THE STORE! 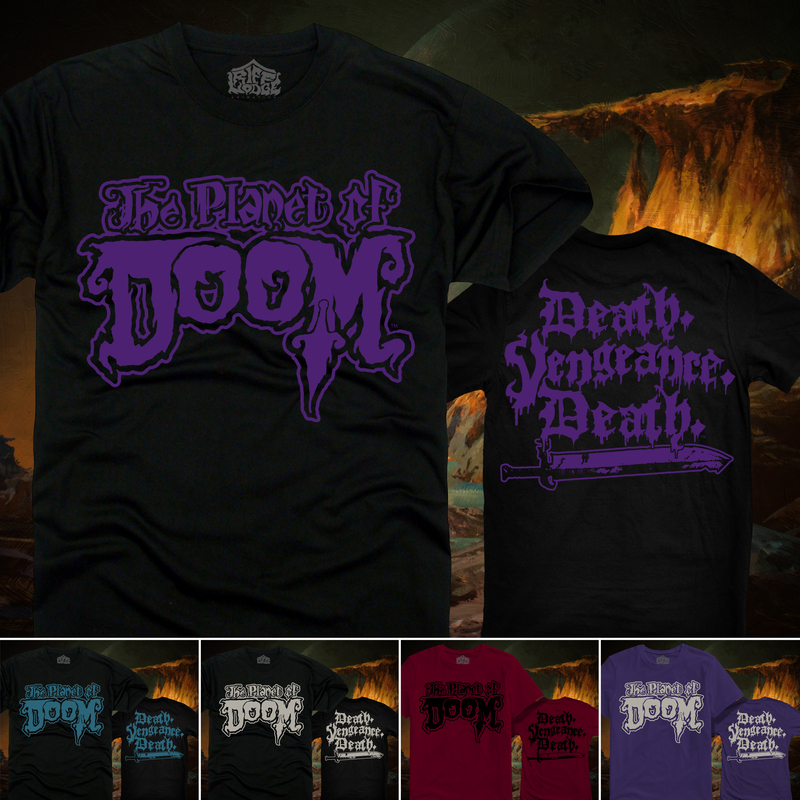 Swing thy heavy blade through the skulls of your enemies in one of our new badass PLANET OF DOOM logo tees! 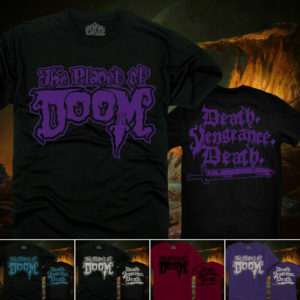 Featuring a chilling DEATH – VENGEANCE – DEATH back print, these David Paul Seymour designs will surely bring you great fortune and infamy! Choose from an assortment of ink colors, and grab one in purple or crimson for those night raids when you want your victims to see you coming. Available in a wide range of men’s and women’s sizes right here by hitting the store. Made in Brooklyn by MIBK Silk Screeners. 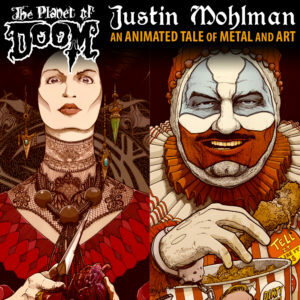 In the spirit of R-rated animated films like Heavy Metal and the works of Ralph Bakshi, Riff Lodge Animation (the studio behind the mind-blowing music video for Conan’s “Throne of Fire”) are creating an EPIC feature-length fantasy/science-fiction film titled “The Planet of Doom”, created entirely by both artists and bands within the doom/stoner/psych/metal genres. 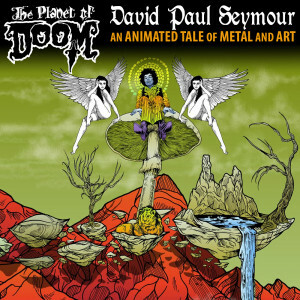 Set for release in 2020 and subtitled as “An Animated Tale of Metal and Art”, “The Planet of Doom” features a worldwide assembly of 17 respected artists and animators and 18 revered bands and promises to present a colossal compendium of underground culture and this generation’s ode to counterculture. 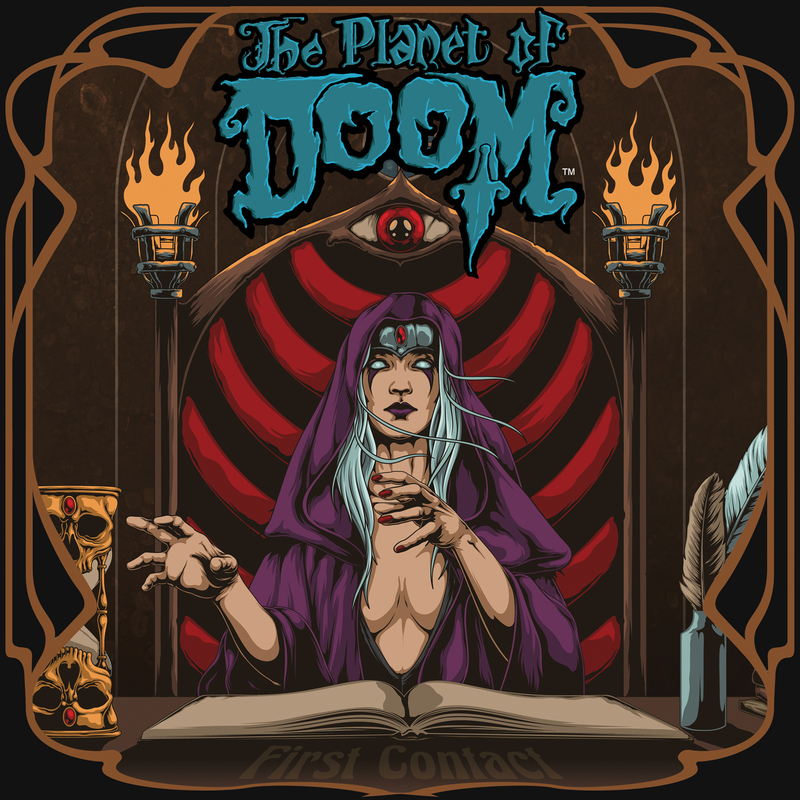 On June 22, Ripple Music will release First Contact: Music From The Original Soundtrack ‘The Planet of Doom’, a teaser EP including four of the film’s featured groups: Mos Generator (USA), Messa (Italy), Vokonis (Sweden) and Slomatics (Ireland). 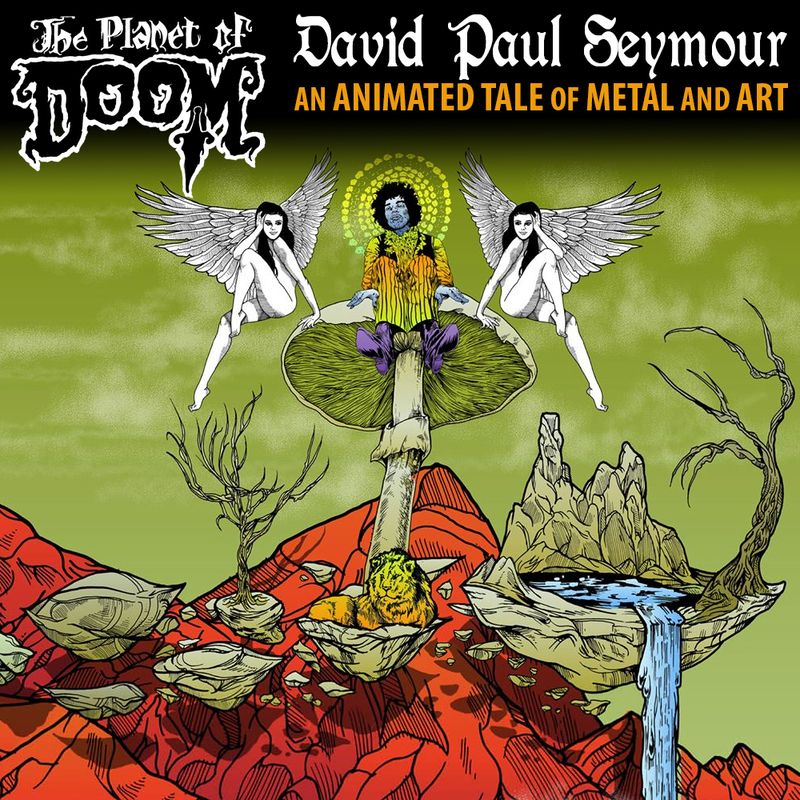 Written by art director/producer David Paul Seymour and adapted into a screenplay by animator/director Tim Granda, “The Planet of Doom” is one continuous tale broken up into 15 chapters, each interpreted by a different artist and band team-up. 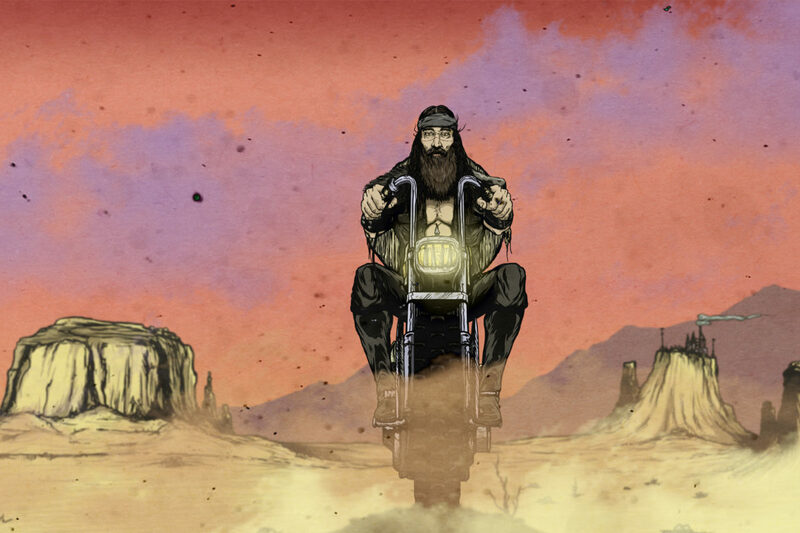 The film contains no spoken dialogue, opting instead to tell the tale via the lyrics of the soundtrack’s original music. 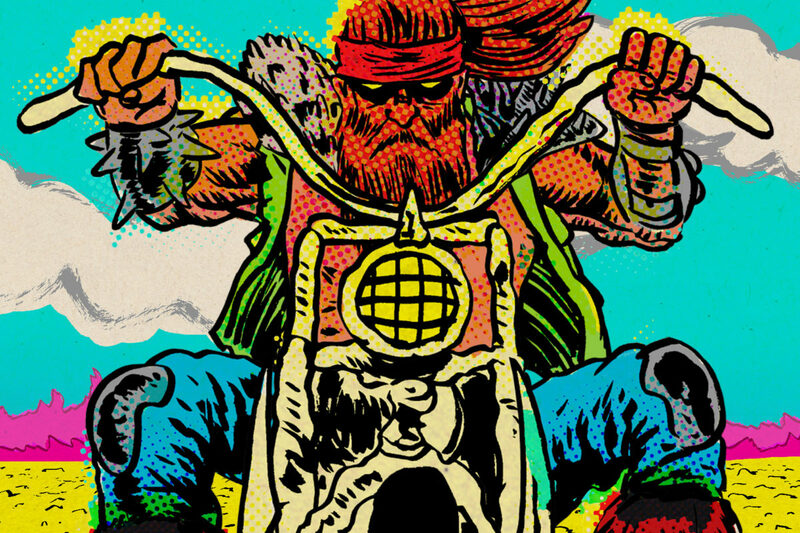 In the film, the titular hero, Halvar The Brave, seeks vengeance aboard a witch-born chopper, journeying across a psychedelic landscape on a quest to defeat the deadly beast Mördvél for the slaying of his beloved bride. 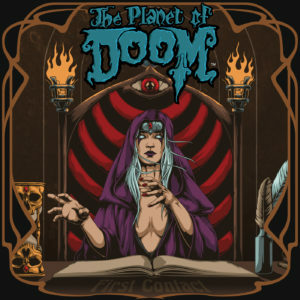 The complete list of artists and bands contributing to “The Planet of Doom” reads like a who’s who of the modern day underground scene. 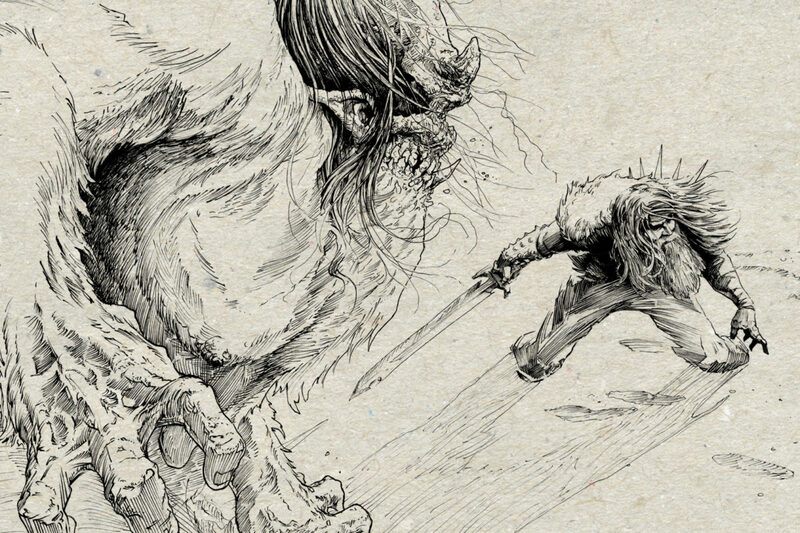 Contributing artists include David Paul Seymour, Skinner, Pascal Blanche, Ian Bederman, Maarten Donders, Adam Burke, Alexis Ziritt, Dave Olteanu, Burney, Justin Mohlman, Mikey McKennedy, Matt Stikker, Jason Cruz, Simon Berndt, Gorgeous George, Brian Profilio, Tim Granda, and Forrest Cavacco. 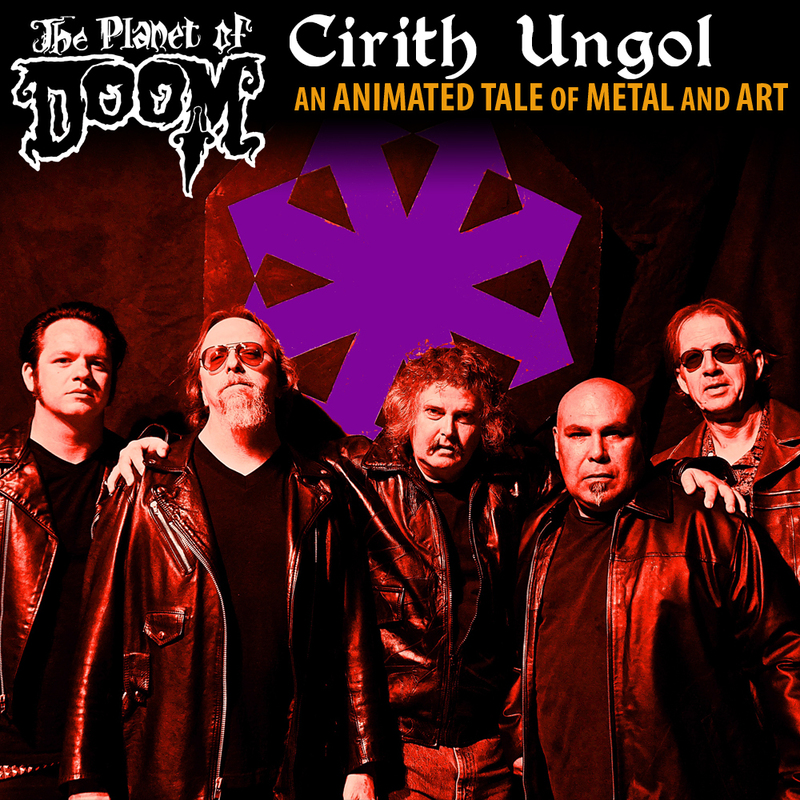 Bands and musicians that will appear on the film’s soundtrack include Cirith Ungol, Wo Fat, Ufomammut, Mos Generator, Slomatics, Elephant Tree, Vokonis, Phillip Cope (Kylesa), Slow Season, Messa, Summoner, Space Witch, Destroyer of Light, Mother Crone, and Tim Granda. 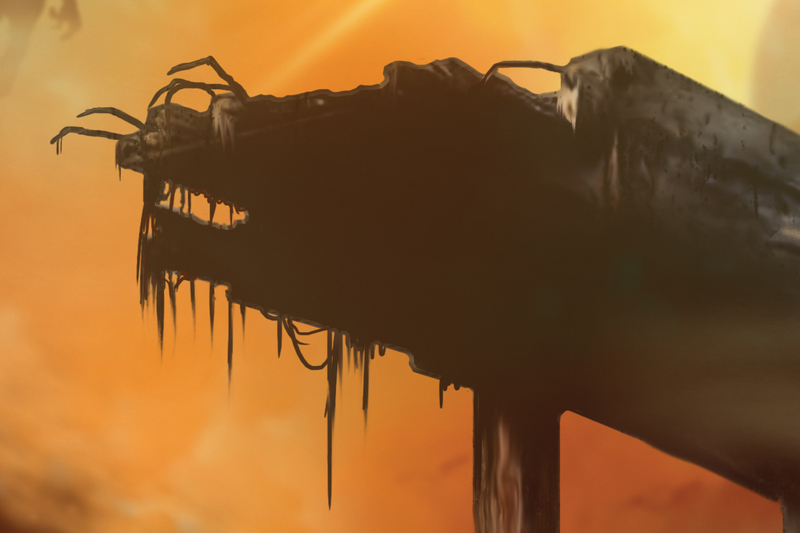 Pre-order First Contact: Music From The Original Soundtrack ‘The Planet of Doom’ at this location. David Paul Seymour and Tim Granda are available to speak with interested media. 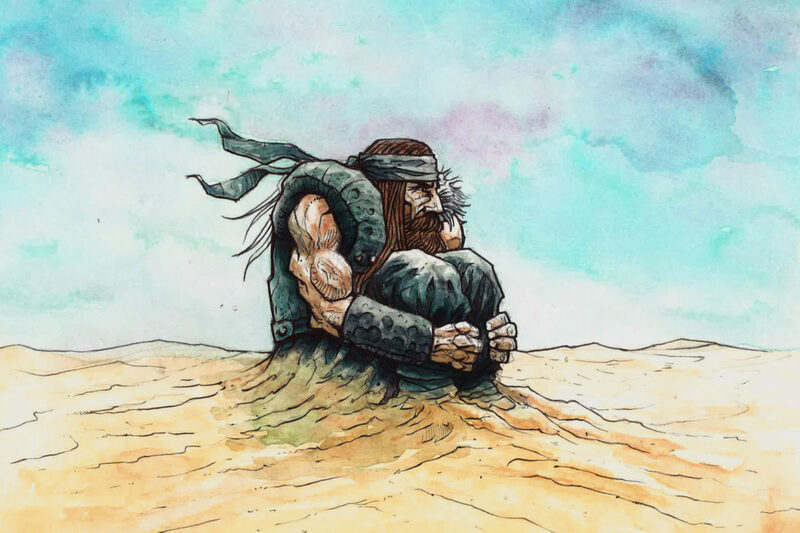 To chat with the artists and/or request a review copy of First Contact: Music From The Original Soundtrack ‘The Planet of Doom’, simply contact Carl Schultz at ACTION! PR. Skinner is a self-taught artist living in Oakland, California who has meticulously crafted a balance of extraordinary mural work, bizarre and antagonistic installations while maintaining a prolific commercial career. 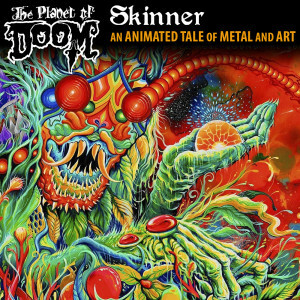 Influenced by 80’s pop culture, human struggle, myths and violence, “Dungeons and Dragons”, and the heavy metal gods, Skinner’s mind is one of psycho social mayhem fueled by a calculated chaos. 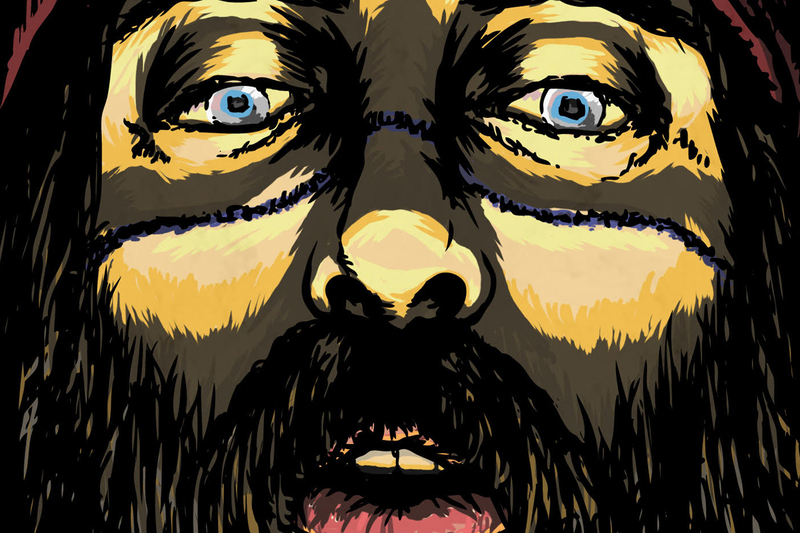 His work has been shown all over the world in various museums, universities and galleries. He has been an ambassador of the alternative arts movement in countries ranging from Russia, Cuba, Japan, Europe and all across the United States. Don’t be surprised if you see one of his murals on a small side street in Scotland or some tiny village in Russia. 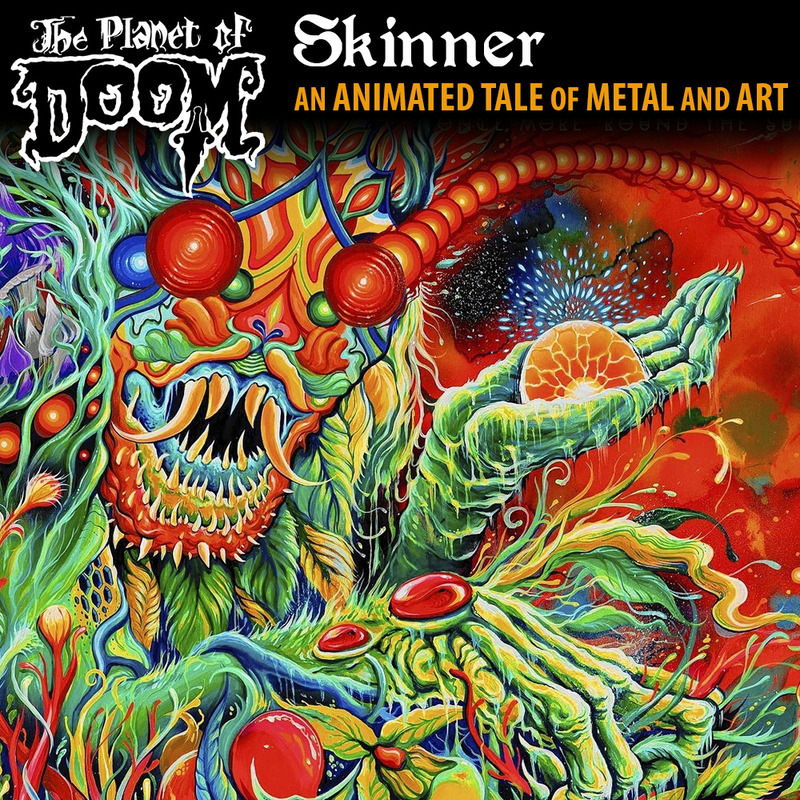 Skinner has and continues to bring his own very specific weird art to anywhere in the world that can handle it. 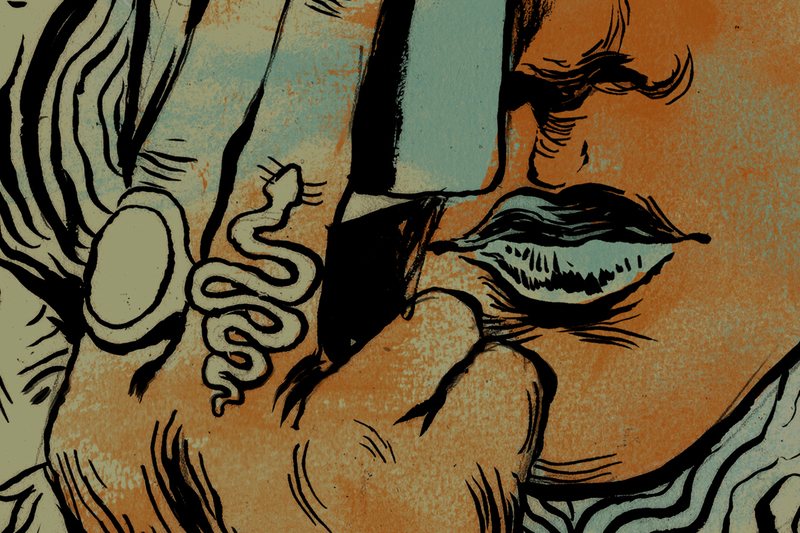 Skinner’s work has been celebrated in various publications including Blisss, Juxtapoz, Hi Fructose, and Beautiful/Decay as well as numerous European publications. 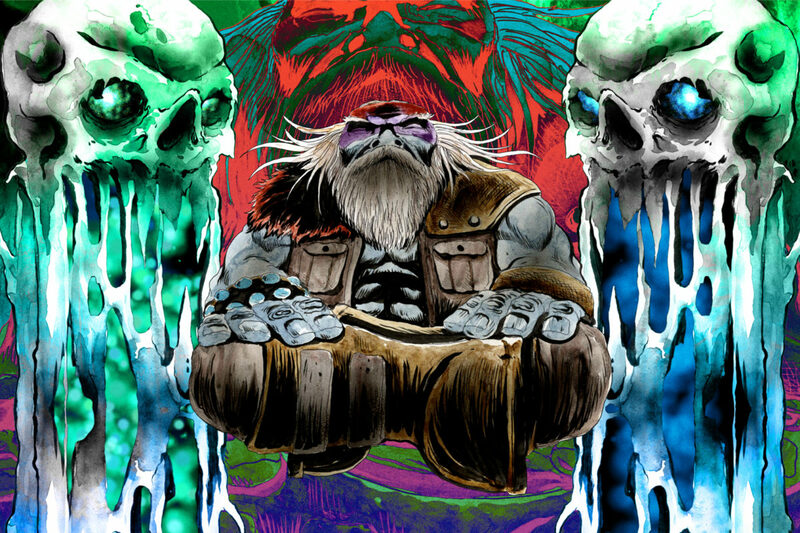 In the fall of 2012 Skinner launched his own art and apparel company called Critical Hit. Realizing that his art is better kept in the hands of people who appreciate it on a day to day basis, he applied his strange visions and humor to an affordable media where fans of his work can find giclee and silkscreen prints, his hardback book “Every Man Is My Enemy”, t-shirts featuring his one of a kind designs, custom toys and figures, patches, buttons, zines and more! 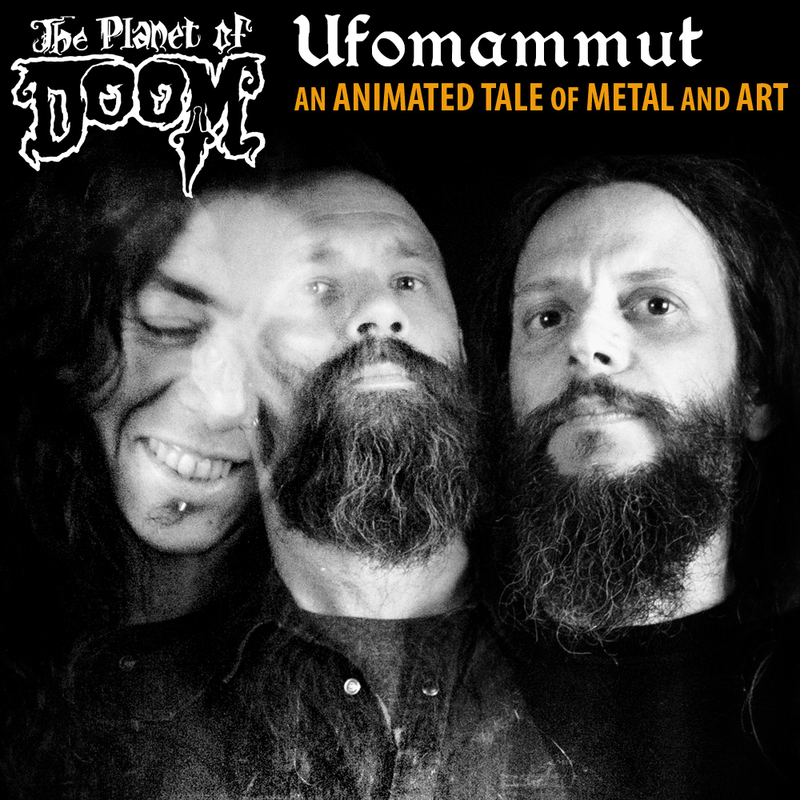 We’re stoked to announce that the band Ufomammut has joined us on our trip to The Planet of Doom! They’ll be teamed up with artist Ian Bederman on a journey that’s soaked in blood! 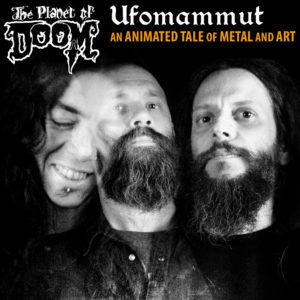 Ufomammut is a power trio formed in Italy in 1999 by Poia, Urlo and Vita, a lineup that has remained stable since. 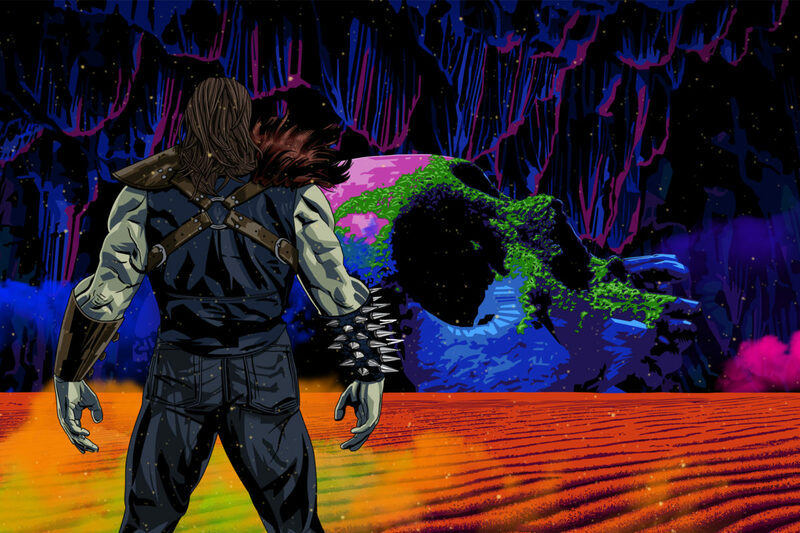 The trio have developed a sound characterized by lengthy songs centered on repeated heavy riffs coupled with droning vocals and the use of sound effects and synths. 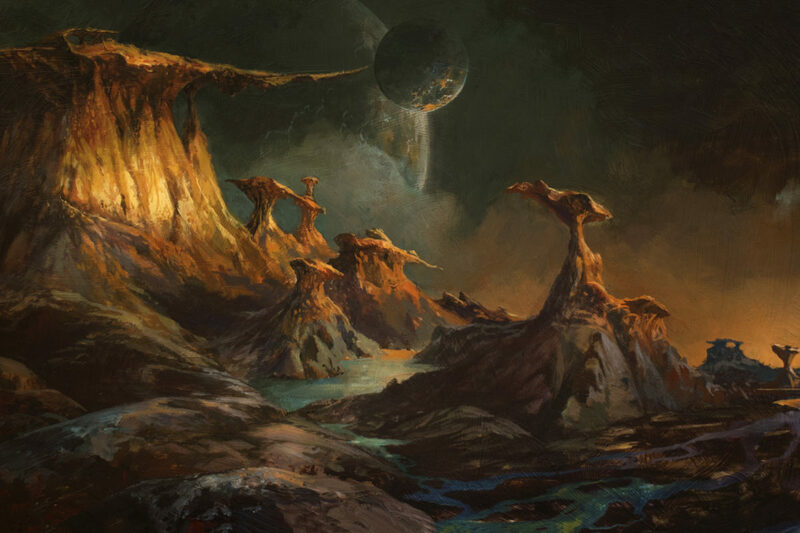 Their status as one of the most potent, powerful and artistic contemporary doom artists in existence continues to captivate the masses, and the band’s worldwide grasp grows wider with each release. 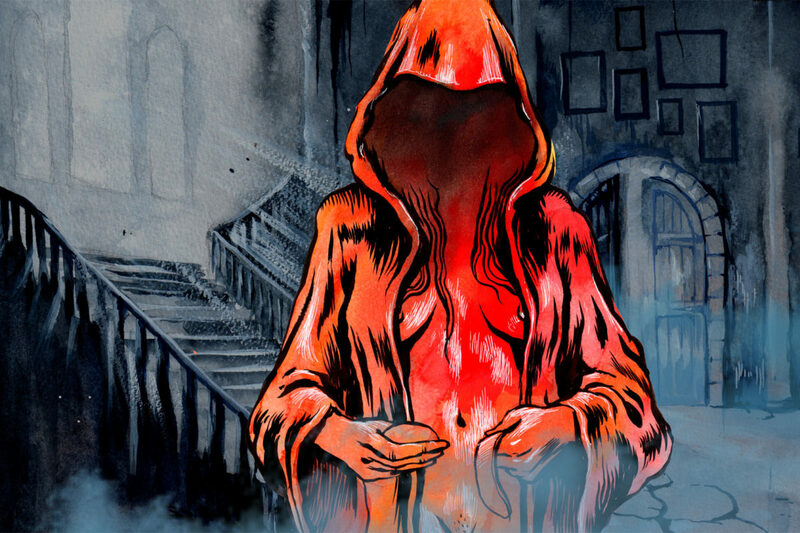 Their live show is supported by the internationally acclaimed video and graphic art of Malleus, a rock artists’ collective of which Poia and Urlo form a part, who conjure the entirety of Ufomammut’s visual impact. 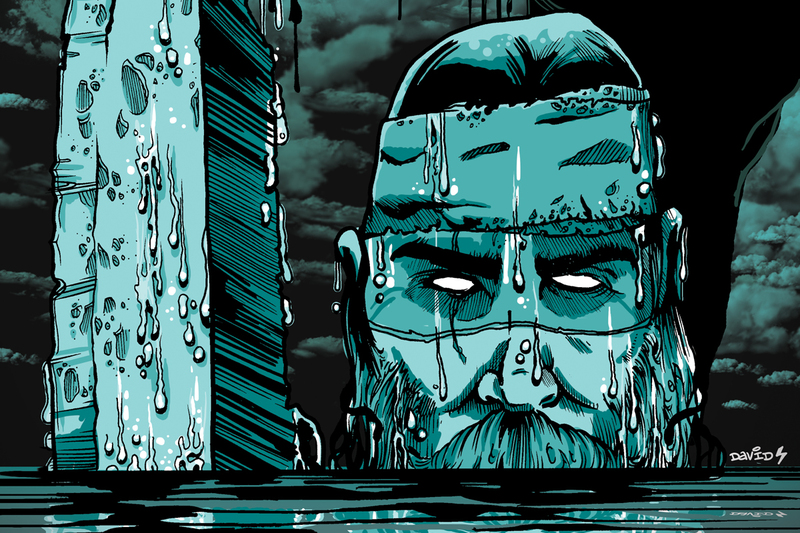 By day, Pascal Blanché is a senior art director at Ubisoft Montreal, a massive game studio where blockbusters like Assassin’s Creed and Watch Dogs are made. 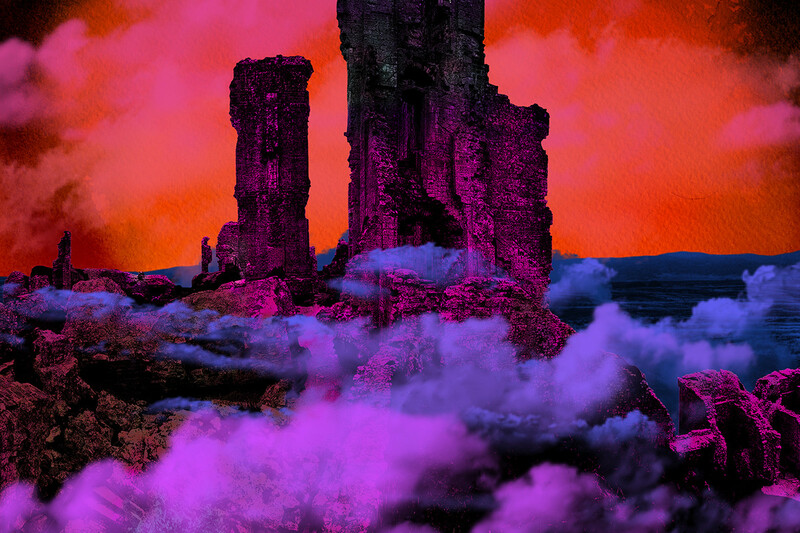 But by night, he’s an artist dreaming up captivating sci-fi worlds that harken back to greats like Chris Foss and Ralph McQuarrie. 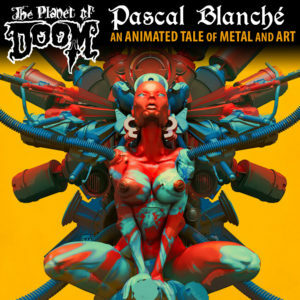 Blanche’s work also graced the cover of Heavy Metal Magazine 270. 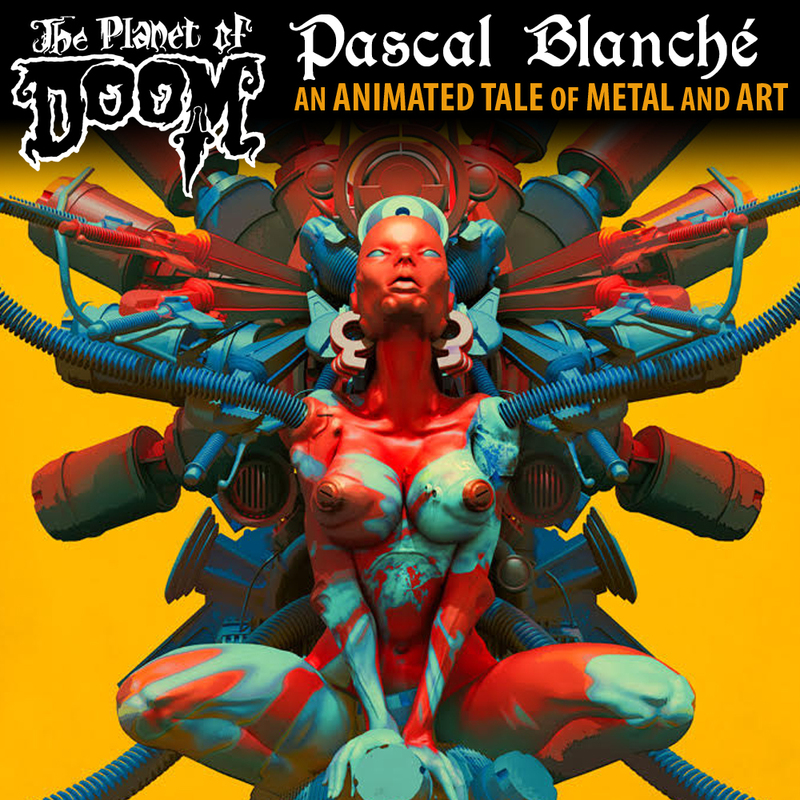 We’re stoked to announce that artist Pascal Blanché has joined us on our trip to The Planet of Doom!